THEY improv helps companies to think outside the box and to get new perspectives on issues that directly effect the bottom line. We can consult with you about our web presence and social media approach to improve your business. 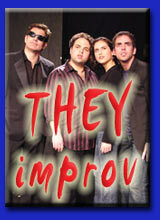 THEY improv provides top-notch search engine optimization services. 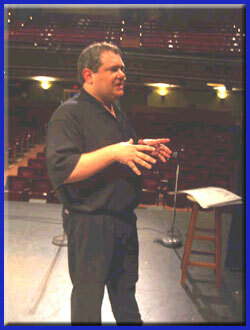 All of THEY improv's SEO clients have top 10 positions in the main search engines. These results are achieved not by tricking the search engines, but by actually performing the work that the search engines want to have done. Realize, the search engines want to list you. They make their money by providing quality listings for those looking for things. If you provide what someone is looking for, the engines want to show you. Todd Rice, the Director of THEY improv and the head of our Search Engine Optimization program, has brought success to hundreds of websites. Additionally, Todd has taught "Online Marketing" at Miami Dade College. Every optimization is reviewed and approved by Mr. Rice. and providing it in different forms." It is not enough to just have a website providing a service, a website has to have enough resources to give the engines confidence that your company knows what it is doing and that someone it refers will find what they are seeking. THEY does not automatically accept clients, and does not provide the same services to each one. When approached by a potential client, the situation is reviewed to provide the most effective approaches to the situation. So what programs does THEY improv offer? 1) Search Engine Optimization: A full search engine optimization requires changes to be made to the website. THEY improv will review the site and provide research on keywords, new titles and META tags, added content, link popularity efforts and other approaches as required. THEY improv is proud of our happy customers! We used to spend thousands of dollars in traditional advertising, which did not target our prospective clients. Your custom-made, targeted Internet-placement and your low prices, together with your proven success to attract and acquire new and quality customers for Abracadabra Translations, has led us to completely change our marketing techniques, saving us thousands of dollars in advertising and increasing our sales three-fold. I recommend your services to any and all businesses that have a website. 2) Link Popularity Program: THEY improv uses a variety of techniques to obtain new links to your website. These are not automated and they are not any version of a "link farm" that might be seen in a negative light by the engines. We work to find you reciprocal links and directories that will list your site. These are often based directly on your industry and we work hard to assist. Likewise, we have a wide variety of clients that may be willing to exchange links with you as well, and we make the appropriate introductions and programming. While this program is also offered in the full optimization, it is often a much more cost-effective alternative for sites that already have plenty of content. 3) MySpace Programming: Always innovators in the world of marketing, THEY improv provides MySpace programming for appropriate clients to help find them new areas to market to while also assisting in website visibility. 4) Pay Per Click Consulting: While we do not operate your Pay Per Click program for you, we assist you with the wording of ads and keyword research. Beat your competitors! Being above your competition in the engines is the surest way to find new customers. Find them first and have the inside track to landing that business! Think outside the box! Most search engine programs think in lock-step with one-another and focus on algorithms to solve their problems. This results in a constant need to update to maintain listings. This also causes problems because you are specifically adjusting to the engines. The engines want sites that are naturally what they want to list, and that's what we assist you to achieve. Find new markets! Through our approach, we provide additional content to your site and more fully flesh-out the offerings. This can result in growing unexpected areas of your business and assist in finding whole new avenues of expansion! Increase your sales! By providing additional resources on your site, we help the usefulness of your site and make potential customers more comfortable with your ability to handle their needs. Someone who has faith in your ability if more likely to enable you to close the sale! THEY are working hard and can be Improv-ing Your Business! Contact us today to learn about how THEY can help your website succeed with a search engine optimization! THEY improv can provide these services regardless of where your company is based.